Known for its exquisite Cantonese and Teochew cuisines, East Bistro is helmed by Head Chef Tony Wong, who has 40 years of experience and was previously the head of Michelin-starred Cantonese Restaurant Lei Garden in Hong Kong. This time, we headed over to its second outlet (recently opened) at myVillage in Serangoon Gardens for their Chinese New Menu, as well as other popular dishes! 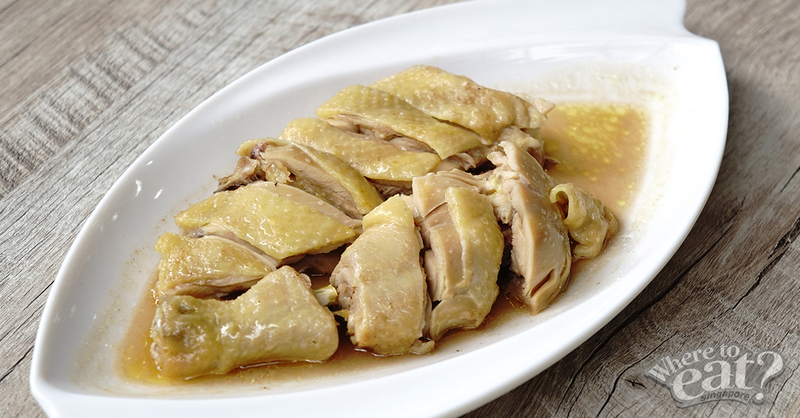 Using Kampong Chicken, the meat is tender and meaty. The flavoursome Smoked Chicken in Ginger holds a subtle smokey taste that goes very well with the ginger. It’s very much of a unique flavour that you might not find at any other restaurant? 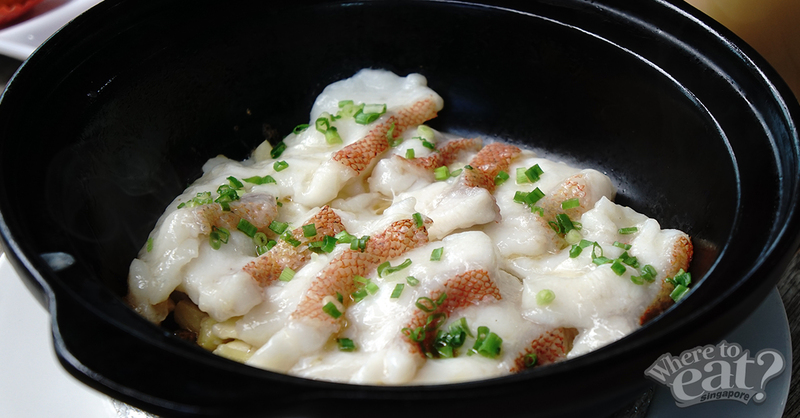 The Chilled Double Boiled Snow Lotus Seed is a very nourishing dessert. A great blend of richness that satisfies the stomach, and we could taste the natural sweetness in every ingredient. 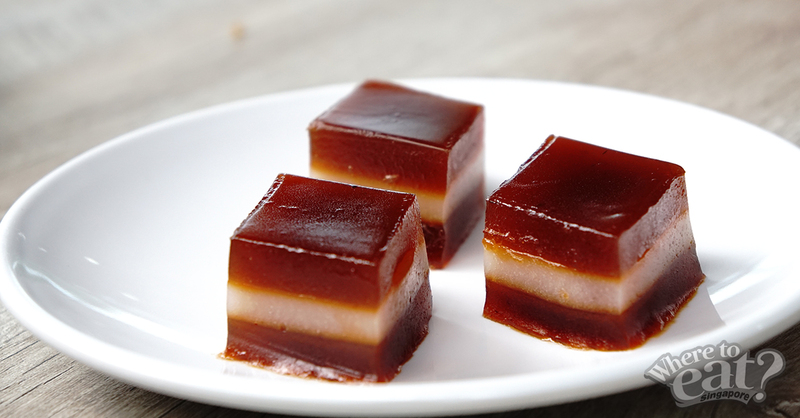 The Red Dates Cake is a not-too-sweet dessert that the kids & elderly will favour! The Rice Rolls with Dark Sauce is part of East Bistro’s dim sum menu. 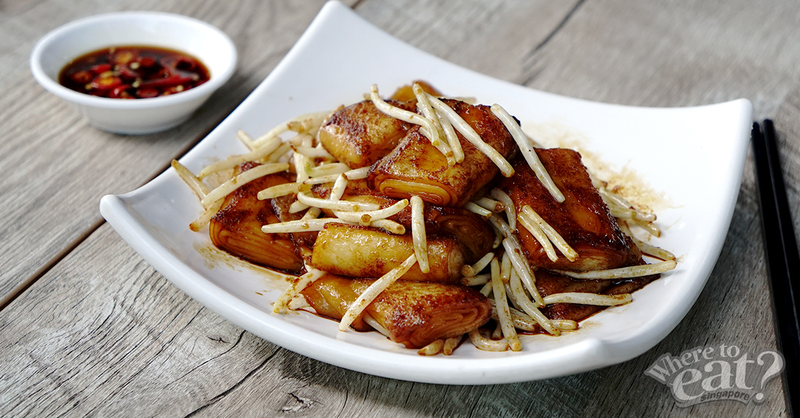 While it seems like a simple dish, rice rolls are soft and the crunchiness of the bean sprouts give great mouthfeel. Also, expect a full-bodied flavour from the premium dark soy sauce used. This has got to be our favourite dish of East Bistro’s! 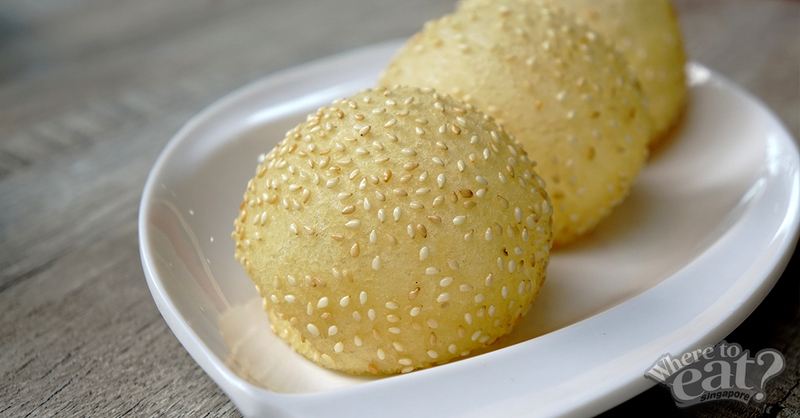 Jian Dui, also known as Chinese Fried Sesame Balls, is a type of Chinese pastry made from glutinous rice flour, coated with white sesame seeds on the outside and then deep fried. During the frying process, the dough expands into a larger golden ball. As the inside of the Jian Dui is hollow, this means that the skin is actually very thin. While Jian Dui at other places may be too tough to bite, it’s not at East Bistro! According to Chef Tony, it takes real skill to whip up a good Jian Dui. 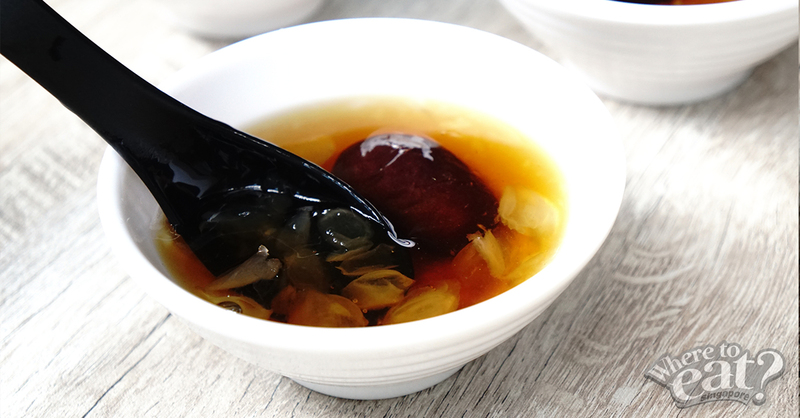 The Jian Dui is crisp, chewy and fragrant. Also, it doesn’t feel greasy as it is fresh (fried on the spot). The Ice Sweet and Sour Pork is one of the many signature dishes in East Bistro’s normal a-la-carte menu. The dish is served with ice at the bottom of the plate, to retain the crispiness of the batter. 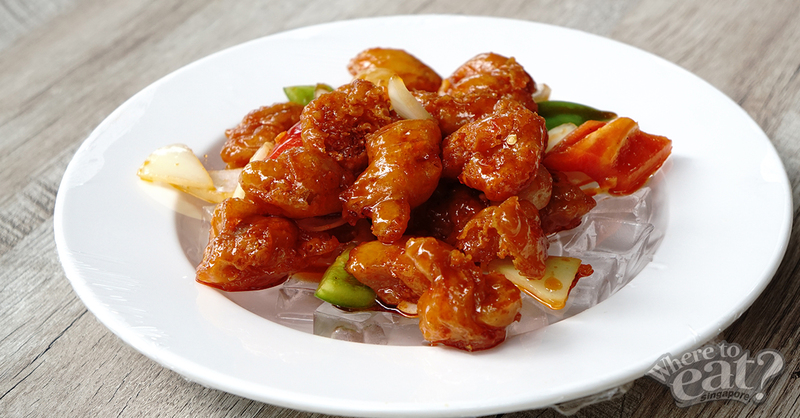 Hence, when served, the sweet and sour pork is crispy on the outside yet warm and tender in the inside. A must-eat dish that is popular amongst the kids! It was a dessert that Chef Tony, came out with when he was at Lei Garden, and recommended by many. 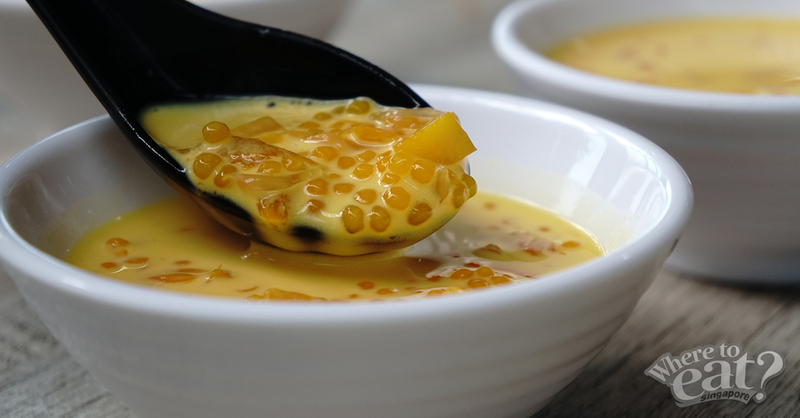 The Chilled Mango Sago Cream with Pomelo is served with generous servings of fresh pomelo, soft sago pearls, and sweet mango cubes, delighting us with its balanced sweetness and subtle creaminess. The Garoupa Fish is usually served as in a whole. However, it is served as slices in a claypot here in East Bistro. No fanciful ingredients needed here in the Salted Garoupa Slices. Simply ginger, spring onion and salt to retain the freshness and bring out the natural sweetness of the fish! 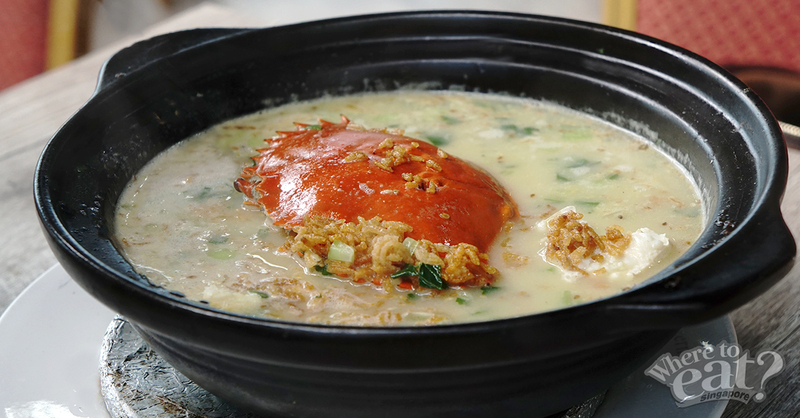 We were told that the Crispy Rice with Crab in Soup is a must-try dish at East Bistro, and we sure weren’t disappointed! Our hearts screamed a little when the chef had the freshly golden fried rice crisps tossed into the rich chicken and pork broth (that was simmered for at least 5 horus), only to satisfy our hearing with popping bits of crackling sound. A light, sweet aftertaste from the tender Sri Lankan crabs that brought out the ‘oomph’ factor of this dish. With great quality and authentic Cantonese food & dim sum at affordable prices, East Bistro is definitely worth a trip to! Providing the best food at affordable prices has always been Chef Tony’s way of bringing happiness to all of his customers. Hence, rest assured that all of East Bistro’s dim sum are handmade and not machine operated! Note: All-day dim sum is available daily. Restaurant will be closed from 3-5pm daily.